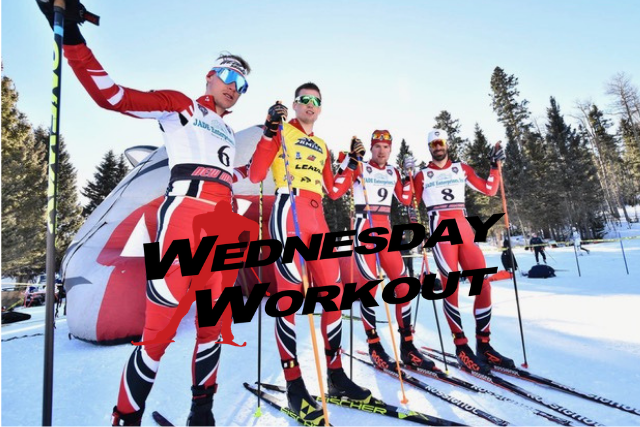 For this week’s Wednesday Workout, FasterSkier talked to University of New Mexico (UNM) racer Ben Berend about how his teammate, Kornelius Groev, the fastest skate skier on the RMISA circuit this season, gets ready for a race weekend. 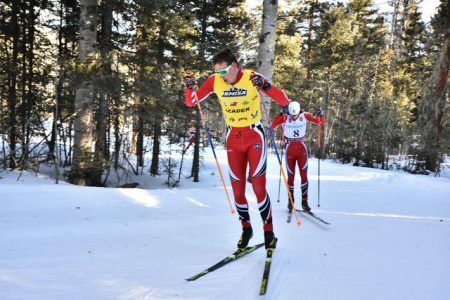 We are already over halfway through the collegiate race season and Groev has established himself as a favorite for NCAA Championships, which take place at the University of Vermont in early March. Groev has won every single skate race on the RMISA college circuit this season. Groev is twenty-two years old and hails from Norway. “By February the work has already been put in and many of us know if we are slow, fast, or not fast enough; the thing is, in February you are what you are. Kornelius Groev, he is FAST. So this week we are going to share some pre-race intervals from the fastest guy around, Kornelius Groev, known to his teammates as Big Fudge, Kelly Slater, or Korn Dog. The idea here is to get a solid amount of time in Level 3 to start the workout. Please, don’t spend any time in Level 4 during the first two intervals… please. All of us can keep up with Kornelius during these L 3 intervals. After two really solid L3’s, Kornelius moves onto the second part of the interval session- 4 x 4 minutes L4. If this was a movie, here is the part where All Along the Watchtower by Jimmy Hendrix starts playing. Korn Dog goes really fast, nobody can keep up. Do you catch the drift? Very controlled in L3, almost conservatively so, then go HARD during the L4 section. Kornelius Grov (UNM) skating to another victory in Red River, New Mexico (Photo: Ben Berend).